We’ve said it before: video is taking the marketing world by storm, and it makes sense. In general, video is huge right now. In fact, YouTube is currently the second-most visited website in the world, with over 1,000,000,000 monthly views. That’s over 6 billion hours of video watched each month— that’s a lot of video! Furthermore, because video is so popular, it makes sense that businesses are using it more and more in their marketing strategy. YouTube has taken to putting ads in the beginning of their videos, as well as pop-up boxes in the midst of the videos. But why stop there? Creating unique and interesting video content for your business has got to be one of the most innovative and effective ways to establish a brand. Even though YouTube is the big name in online video platforms, there are other sites that shouldn’t be overlooked for marketing purposes. Vimeo is useful for companies looking to produce aesthetically pleasing and high-quality videos. Micro-video mobile networks, such as Instagram and Vine, are perfect for companies looking to tease consumers with little snippets of their products or promotions. Google Hangouts is Google’s answer to video chat, allowing businesses to video chat with others in their industry, as well as customers, via their Hangout feature. Take a look at the following infographic, provided by 1800NumberNow.com, for more information. 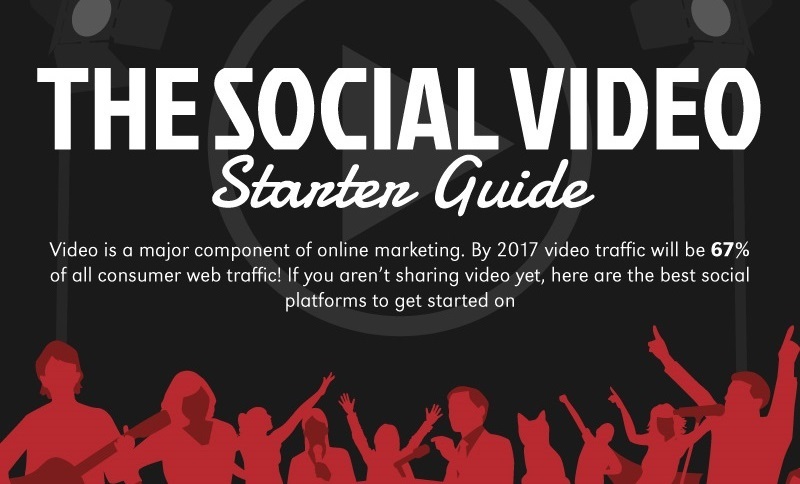 It provides interesting statistics on each of these 5 video platforms and shows just what they can do for businesses and their marketing strategies. We want to know how you plan to use social video for your market strategies.